Kazuma Surfboards is well known for making custom surfboards and with Kazuma riders in every corner of the world, Kazuma’s experience and reach is second to none. Matt takes pride in fine tuning each custom order as little or as much as you need. Are you a customer that needs simple changes based on your height and weight or do you need more out of your board like extra tuning for your special surf spot or surf condition. Matt can even tune your board to focus on specific areas of your surfing like cutbacks, airs, barrels or any combination of surfing moves or styles. Matt is an expert in knowing what you really need to get you surfing your best. Even the construction of your board can be built to your exact specifications and needs. Some of our riders need ultra light competition boards and other customers that need nearly unbreakable boards for that once in a lifetime surf trip, Carbon, kevlar, epoxy, we build what you need. It really is that simple to get much more from your surfboard and Matt always gives you the best value for your hard earned money. 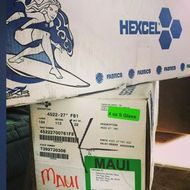 Kazuma Surfboards is a true custom board company and every part of the manufacturing process is done in our Maui factory under the strict control of Matt Kazuma ﻿Kinoshita﻿ himself. Because we do every step of the manufacturing in-house, our customers are able to get their new Kazuma built completely custom to their specification. From a one of a kind shape to a custom paint design, Kazuma can get it done. Quality, service and value is what you get with Kazuma and Matt’s reputation for improving the equipment under your feet is legendary. 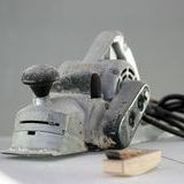 See what is possible, bring Matt your favorite board and learn how he can make it better. download the order form, write your notes and, once your dream's done, upload it! Watch your board being made. There are no secrets to the origin of your custom Kazuma and we are proud to be a Hawaiian made product. 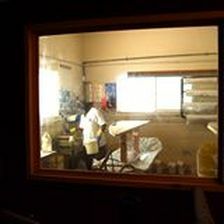 The Kazuma factory is a special place where you watch your board being made and we encourage our customers to come in and see for themselves the quality of Kazuma. See the materials being used, see the expert craftsmen who are building your board and see the pride and care taken to build each and every Kazuma Surfboard. 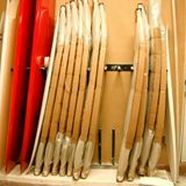 A true Hawaiian made, finest quality surfboard. Custom orders in 7 to 10 days. Hexcel cloth and Silmar resin. Everyone who works for Kazuma surfs, we are expert craftsmen that have dedicated our lives to the art of building surfboards. We take pride in our product and offer our customers a true Hawaiian made product. Kazuma has been in business for over 25 years and will still be here 25 years from now, Kazuma is a brand that you can trust.